This book provides the history and genealogy of an increasingly important subject: liminality. Coming to the fore in recent years in social and political theory and extending beyond is original use as developed within anthropology, liminality has come to denote spaces and moments in which the taken-for-granted order of the world ceases to exist and novel forms emerge, often in unpredictable ways. 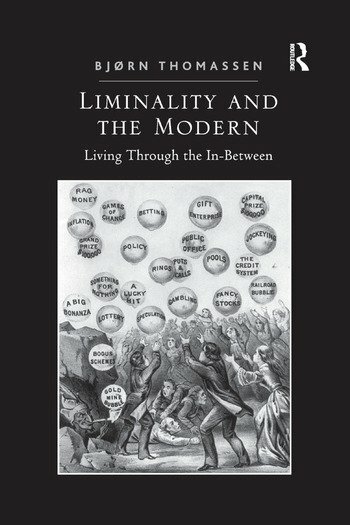 Liminality and the Modern offers a comprehensive introduction to this concept, discussing its development and laying out a conceptual and experiential framework for thinking about change in terms of liminality. Applying this framework to questions surrounding the implosion of ’non-spaces’, the analysis of major historical periods and the study of political revolution, the book also explores its possible uses in social science research and its implications for our understanding of the uncertainty and contingency of the liquid structures of modern society. Shedding new light on a concept central to social thought, as well as its capacity for pushing social and political theory in new directions, this book will be of interest to scholars across the social sciences and philosophy working in fields such as social, political and anthropological theory, cultural studies, social and cultural geography, and historical anthropology and sociology. Bjørn Thomassen is Associate Professor in the Department of Society and Globalisation at Roskilde University, Denmark.